40 Assorted Crystals for your Holiday Centerpiece Table arrangement! You get 40 assorted tumbled crystals for your table-scape! Or use them in a flower centerpiece in the water for beautiful enhancements for color and good feeling vibes! FREE SHIPPING! Using CRYSTALS as table CENTERPIECES can be beautiful, feel great AND literally Keep the PEACE. Using certain crystals can make your table feel festive and great, like pyrite( fools gold) for energy and Amethyst for relaxing homey feel and Citrine for positive vibes! 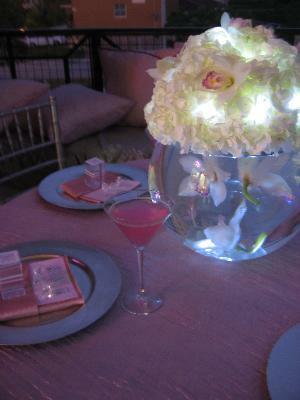 Add the crystals to a flower arrangement, in the water or on the table - hide them or let them be part of the tablescape! If you have a grouchy guest or family member, try adding a crystal to absorb that such as Selenite, black tourmaline or a Lepidolite ( this is the one I call the Z" Prozac stone!) to stabilize their mood! Learn more from Crystal junkie Jolie DeMarco www.CrystalJunkie.comAvailable Holiday Crystal kits for your table online shipped fast! 8 Crystal Purse "Stash "
The Crystal of the Month Club ! FREE Shipping!